You'll Laugh, You'll Cry, It'll Change Your Life!! 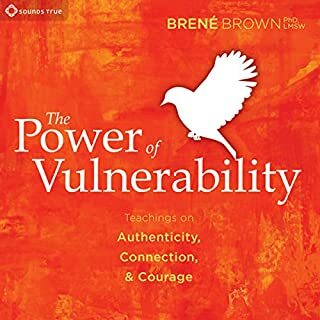 Loved hearing Brene Brown be open, honesty and forthright in her audio on the power of vulnerability. This woman has walked the walk for sure! Awesome to get you thinking! Loved listening to the author Gretchen Rubin read her story. I've had the book for years but haven't read it. The audible version meant I could listen whilst I performed repetitive tasks and exercised. 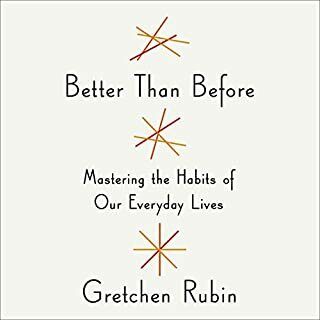 In this personal account of a year spent working on her happiness, Rubin provides insight into what worked for her, how she went about it, and how you could do the same should you wish. 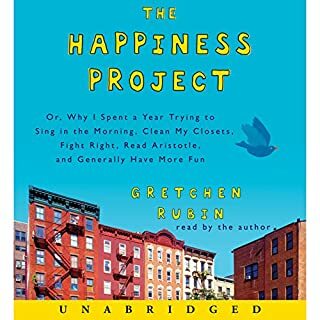 I personally found it inspirational and will use these tools Rubin mentioned to work on my own happiness project. Too much fluff; too much! Really enjoyed listening & working out what would work for me. Couldn't wait for my next Gretchen Rubin fix. I have her previous books (e-book and actual) and this is the first one I have finished.